SAN FRANCISCO — Every week there is a new atrocity. Whether the target of the far right is immigrants, children, African Americans or the poor, conservative extremists are trying to bully others into submission. The problems aren’t limited to the United States. 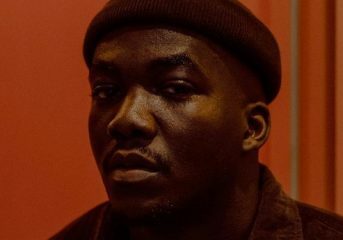 Nigerian-born, U.K.-based soul singer Jacob Banks sees it everywhere. Banks returns to San Francisco Saturday; his third time in the city this year. The soul and R&B artist now lives in Birmingham, England, where he moved with his mother from Nigeria. But his songs sound like they were recorded in Birmingham, Alabama. His rich baritone voice is so smooth and raw at the same time that it’s a wonder he has only been singing professionally for less than five years. Disney movies got him interested in music, but before his music career took off, he was pursuing a career in civil engineering. But art began to call. He spent two years on Atlantic Records before hopping over to Interscope and releasing the EP, his third, a year later. 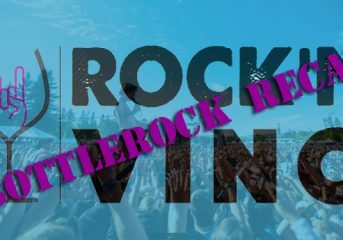 A full-length album is in the works. Banks won’t limit himself only to making music, however. He’s already planning to go back to school to study film, which to him is synonymous to music. RIFF: Did you always want to sing professionally? 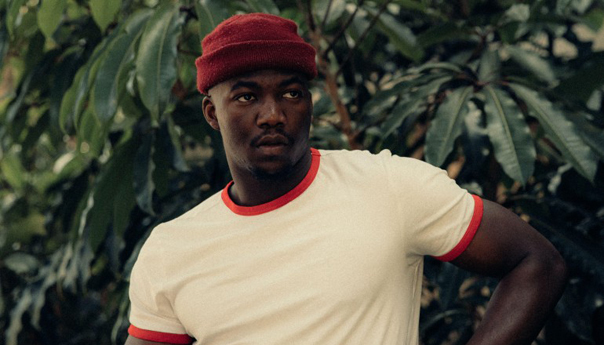 Jacob Banks: “[Disney movies] just made me fall in love with music. I didn’t start making music until four and a half years ago. I was very much just a listener, a fan, all my life. I bought a guitar just for aesthetic and I learned to play off YouTube. I’d write songs just because I felt that’s what everybody did. I’d record these songs just so my friends could have them in their cars. My friends really wanted to play my songs, and that’s how it happened. It was never in my plans, at all. I was going to be a civil engineer and play basketball. That was the plan. Whichever one of those worked out, I was going to go with. Are you a good basketball player? Some would say. I’ve lost my edge a little bit. Back in my heyday, I was quite the guy. You’re from Nigeria. How did you end up in the U.K.? I didn’t really have a choice. My mom just wanted to move. My parents had always wanted to travel but they couldn’t really, at the time. So my mom came to the U.K. to give us the chance to travel as kids and see the world, and be open to more things. Do you still have any relatives in Nigeria? My dad is still in Nigeria. I have cousins there as well, but no one else I’m close with. The only one I’m close with is my pops. My dad stayed just because he couldn’t come. His business is there. I see my dad once every two months. It’s not a massive divide. All my immediate family is here [in the U.K.]. And I think I’ve always been somebody who kept to themselves. I’ve grown to be alone, but it wasn’t because of a “lack of.” It was just because I was an independent and reclusive child. 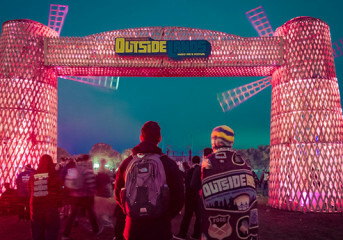 I found music through that to keep me company, but if I ever felt alone, it was out of choice. How did you find the artists who influenced you? I think I find music all at once. YouTube is to thank for most of it. There was no genres. I found K-Ci & JoJo, and Kanye West and 50 Cent and Eminem at the same time I found Al Green and Sam Cooke. … All of them resonate with me in different ways. Music can tug on different emotions [in] different people. The people who inspired me to make music, though, are John Mayer, D’Angelo and Amy Winehouse. … I wanted to be able to express myself the same way they can. You have said The Boy Who Cried Freedom is a statement for the oppressed. Why did you want to make this kind of record? It’s my truth. I think I should always reflect the times and these are the times. I’m just the commentator, at the end of the day. EP opener “Chainsmoking” is a declaration of sorts. What does it stand for? The people who choose love choose love at a cost. Love isn’t free. Love makes us bleed and hurt; it takes so much out of us. The song “Chainsmoking” is about that. It’s about the people that are choosing love even though it hurts them. It’s about whatever you are and whatever you choose to stand for. Is “Unholy War” dedicated to any group in particular? The group is anyone who’s oppressed, anyone who’s felt like they have to scream louder to be heard. This is my ode to them and I want them to know that I have their backs. I’ll sing louder for you and I’ll always be in your corner. You have had the opportunity to open for Alicia Keys. Did you learn anything from her? I supported her on tour. She was in the U.K. and needed a support act. My name was put forward, I think she heard a couple of songs, and reached out. It was really an enjoyable time for me. … I learned how to structure a setlist from her. She told me about where to put a song. 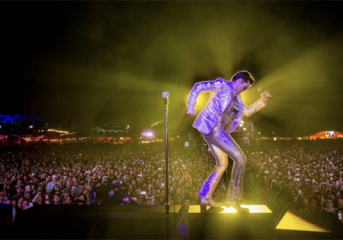 Which song you perform at different times really dictates the whole show. She taught me how to deliver a good live performance.